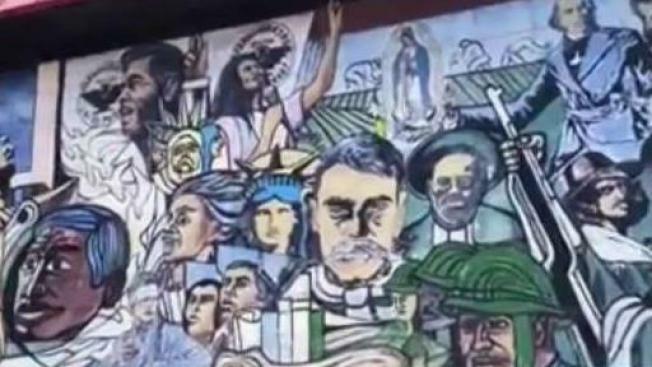 A South Bay community is outraged after someone painted over a beloved mural celebrating Latino history. Many believe the new owners of the East San Jose building where that mural was painted are responsible, but even the city is struggling to figure out who that owner is. The wall of the Payless Shoe Source is now a blank, gray space where the painting that depicted Latino historical figures used to be, and the locals are angry. Carlos Perez, an artist who, among other things, drew the original Apple Computers logo, said the community has a right to be mad, especially since the artwork was erased without advance warning. "I’m very upset," he said. "It's part of our culture. This is who we are. I bet you any money if you go to LA and try to remove a mural from a wall, boy, you would have the city all over you." Perez said state law requires an artist be notified when his or her work is about to be moved or destroyed. It falls under the California Art Preservation Act. The city said it tried to get ahold of the building's owners, but it’s still unclear who they are. "I exhausted all means to try to contact the man and have a meeting to try to preserve the mural, and now this," community organizer Jose Valle said. Valle and Perez say the mural was a part of the fabric of East San Jose, a source of pride that is now gone without an explanation. Valle is now meeting with city leaders to see what can be done.